Ergonomically arranged meters and lamps make it easier to check the machine condition. In addition, fuel meter and dust indicator lamp installed on the panel for easy servicing. The operator's compartment has a complete walk-through design, making for easy getting on and off. 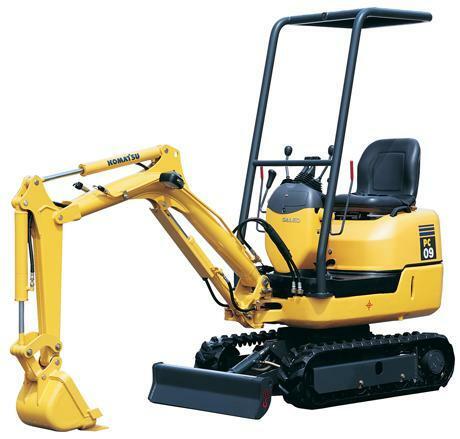 The D21-8 is equipped with Komatsu's unique HYDROSHIFT transmission, assuring smooth gear shifts, powerful traction and low fuel consumption. It consists of a damper and planetary gear packs. The HYDROSHIFT transmission makes two previously incompatible factors compatible: It efficiently converts engine power to traction with minimal power loss through a damper and it offers smooth, easy shifting through a powershift transmission. Unlike ordinary powershift transmissions with torque converters, traction does not decrease, even when the engine is running at partial throttle. The long track and well-positioned center of gravity give good machine balance and make grading operations and operations on slopes easy. 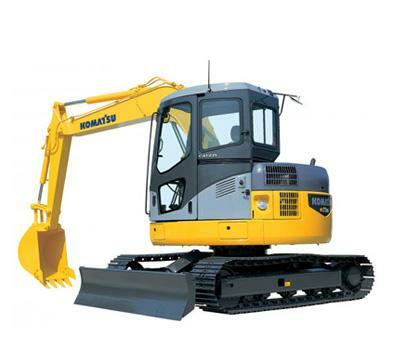 In addition, the machine can travel over soft ground easily, and it can escape from muddy areas without problem. Spin-on type filters are used throughout the machine, making it easy to replace filter elements. Air cleaner with automatic evacuator extends cleaning interval of the air cleaner. Ejects air in the fuel system, simply turning on the ignition key when restarting the engine. All the directional changes are carried out with single lever, ensuring smooth turn and superior productivity. 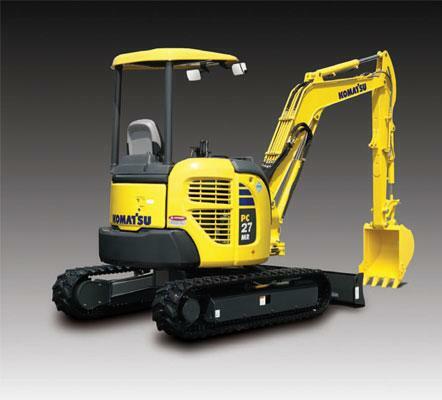 The Komatsu 4D94LE-2 features a direct-injection fuel system. Intake air is swirled into the combustion chamber where it is mixed with injected, atomized fuel, providing optimum combustion. This fuel system not only contributes to greater power and fuel savings, but also ensures reduced noise and cleaner exhaust. A cushion mounted engine reduces noise and vibration. 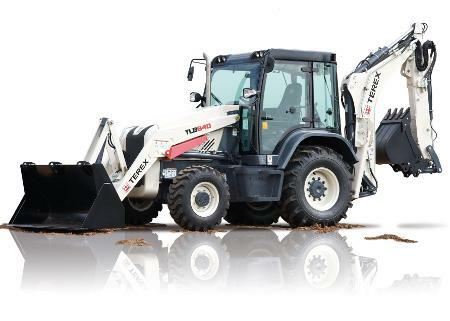 Terex is breaking new ground with its range of versatile, innovative and efficient backhoe loaders. Designed to increase your productivity and profitability, these powerful workhorses have a host of new features aimed at enhancing comfort, reducing driver fatigue and aiding productivity. The Kubota K008 mini-excavator is particularly well suited for projects where access is tight or the work area is limited. It's optimally sized for the landscaper, contractor or pro DIYer with big tasks in small working area. With it's robust 2200 lbs of breakout force, max reach of 9'5 ft, digging depth of 5'8 ft and dump height of 6'8, the K008 is ready to tackle whatever you can throw at it. Two-stick travel levers provide independent control of each track for precise steering. The PC09-1 is designed for low noise operation reducing operator fatique. Molded one-piece operator seat is waterproof and seamless providing outstanding durability. 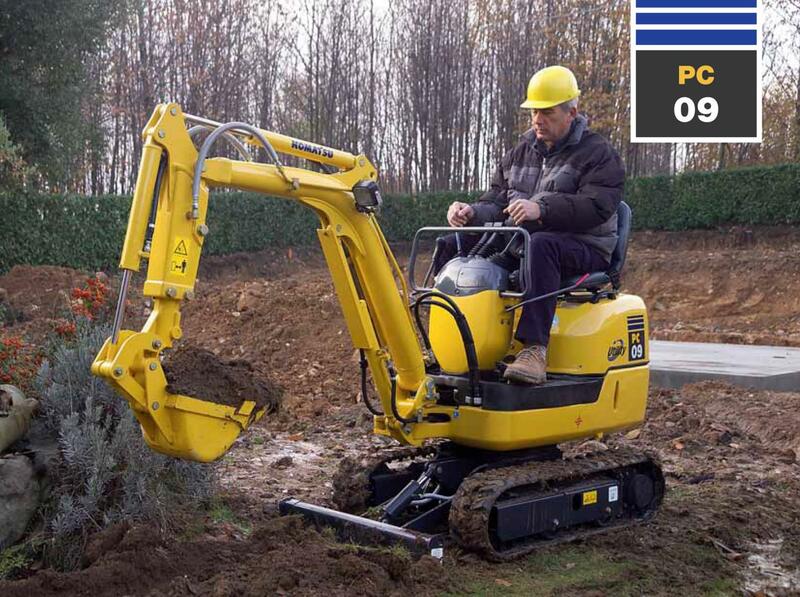 The PC09-1 provides the operator with a comfortable environment despite the machines small size. The PC09-1 has a standard dozer blade with retractable end bits. Newly designed rubber shoe with lugs between core iron provide smooth travel. Triple flanged bottom flat roller aids in machine stability when traveling or excavating. Press formed one-piece steel cover provides accessibility for maintenance and repair. Operating weight with standard bucket, fully serviced, +75 kg operator (ISO 6016). 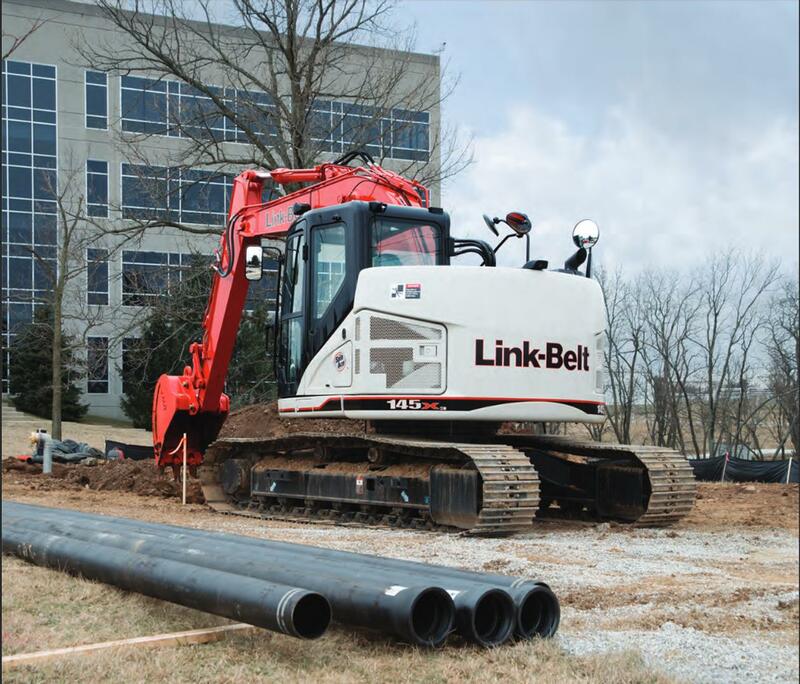 This mini excavator's fuel tank can hold up to 10.6 gallons, and the operational weight of this machine is 6,170 pounds. The operational weight includes the total weight of the excavator plus a full tank of gas and the average weight of a person. The hydraulic system has a fluid capacity of 17.2 gallons, and the total hydraulic relief valve pressure is 2,490 psi. The pump flow capacity is 20.6 gallons per minute. Machines used for excavating earth and rocks and loading them on a dump truck. The size ranges from small ones used in civil engineering to super large ones used in mines. 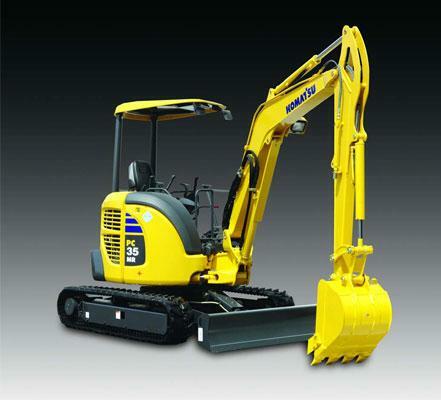 Crawler excavators are capable of a wide variety of work by changing a front attachment. Large Operator's Space The operator can operate the machine comfortably due to suspension seat with adjustable seat back. On canopy models, the operator can enter and exit easily from both sides due to increased foot space and two-post ROPS canopy. Superior Digging Force Exceptional productivity combined with outstanding stability and superb fine control with CLSS hydraulic system. X-Track Frame Soil does not accumulate on the track frame due to its rounded design and wide openings. The x-frame also provides greater strength and rigidity. 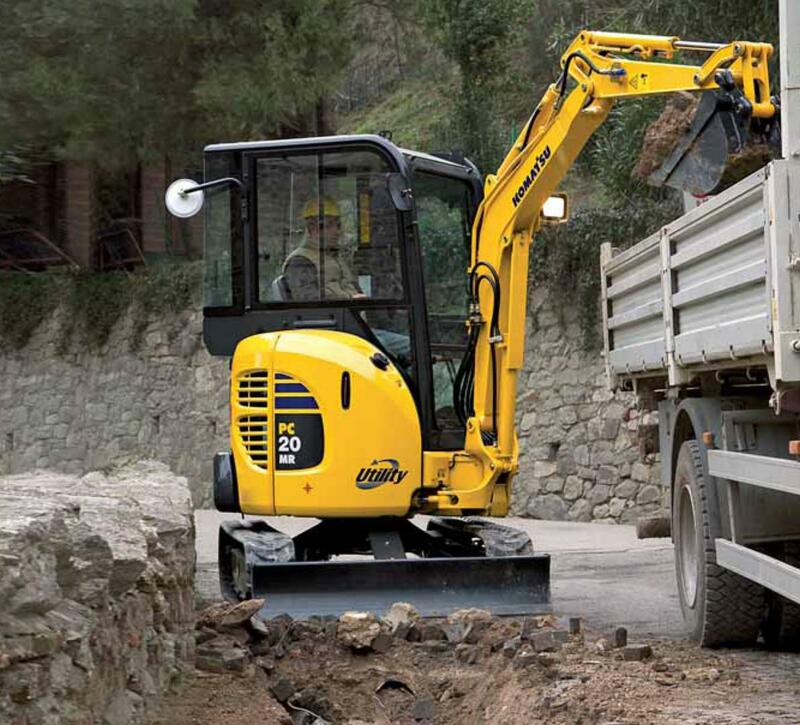 Engineered to deliver high levels of productivity, versatility and serviceability. Performance and Versatility High dig forces, fast cycle times and high bucket rotation angles deliver the productivity that customers demand. Low operation noise The dynamic noise is reduced providing low noise operation. 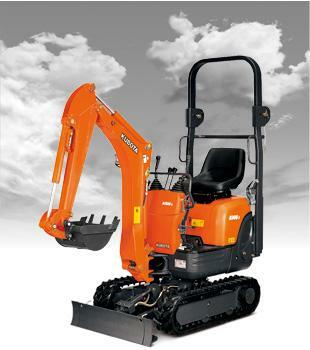 Tight tail swing Excellent operation in tight tail swing radius design; Tail swing radius: 1335 mm 4'5"
Safety Features Cab dedicated to hydraulic excavator for protecting the operator in the event of a roll over accident. ; Safety enhancement with large side-view and rear view mirrors. Large Comfortable Cab Low noise design cab ; Sliding convex door facilitates easy entrance in confined areas. ; Large cab improves working space. Large TFT LCD Monitor Easy-to-see and use 7" large multi-function color monitor ; Can be displayed in 12 languages for global support. Easy Maintenance Side-by-side cooling function enables only the cooling unit to be attached and detached ; Easy access to engine oil filter, engine main fuel filter and fuel drain valve ; Equipped with the fuel pre-filter (with water separator) ; Equipped with the Equipment Management Monitoring System (EMMS) monitoring system. Since its original introduction, the PC120-6 has set new standards for productivity and control. The improved PC120-6 introduces several outstanding new features to provide the operator with a faster, quieter and easier-to-service machine. 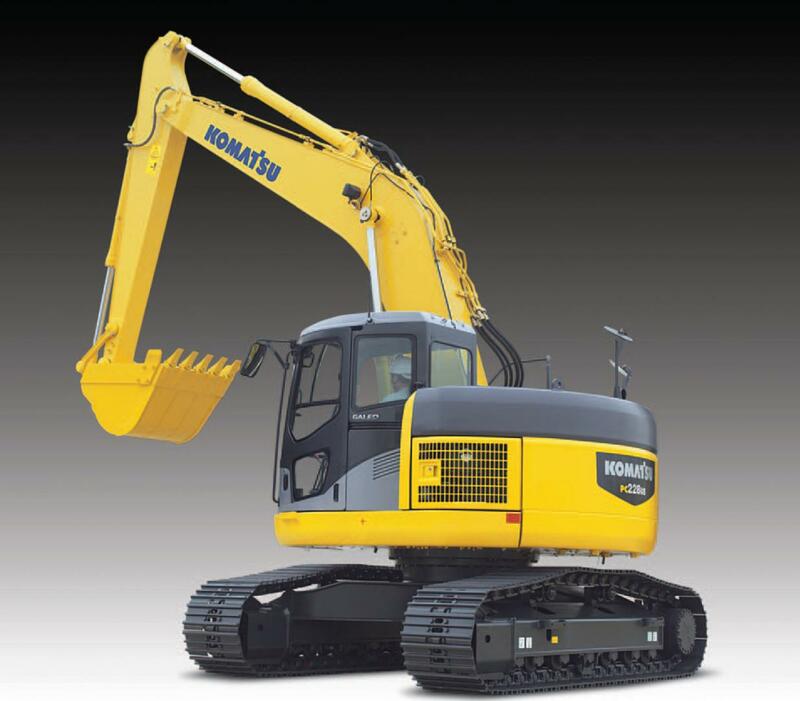 Demolition-dedicated machine that has been nurtured by a long track record The machine best suited to hard demolition jobsites. Equipped with additional hydraulic piping for attachments as a standard specification, PC200 with demolition specifications can be installed with attachments like a hydraulic breaker and crusher. Its work equipment and base machine have been strengthened to ensure higher durability. It demonstrates excellent operating performance even under severe working conditions. Working in congested or confined areas can be a challenge. 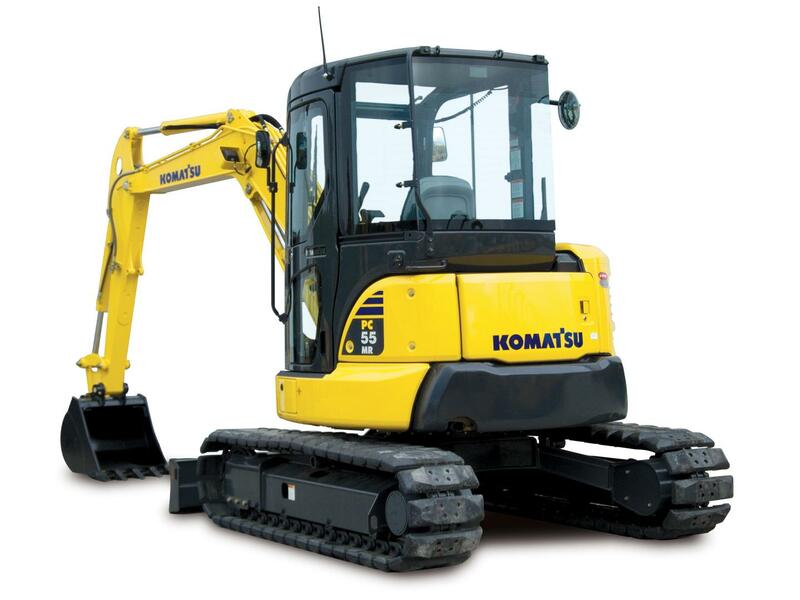 Komatsu's PC228US-3 Series Hydraulic Excavators have a short tail swing profile, designed specifically for work in confined areas. 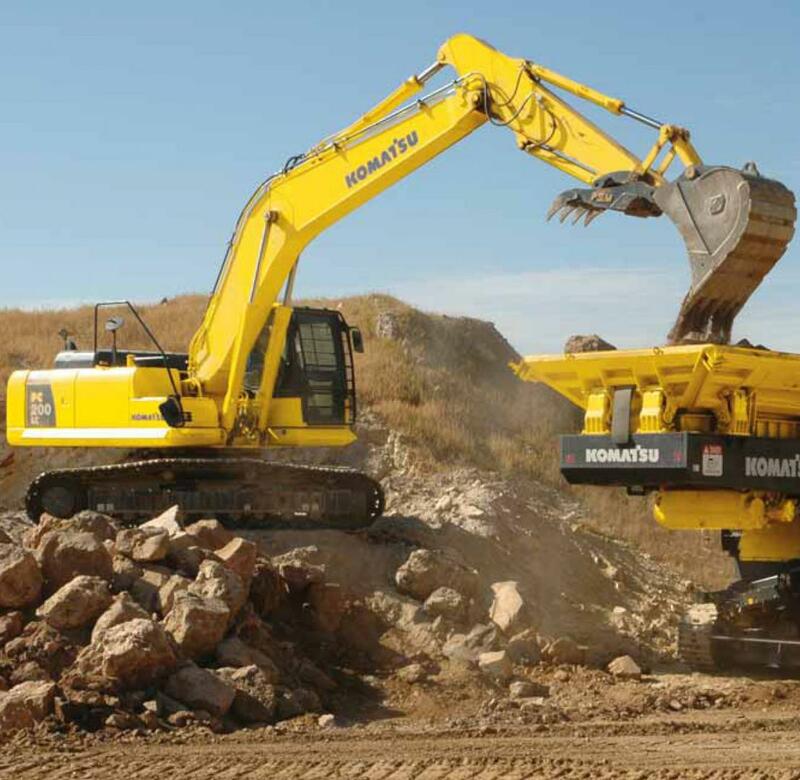 By reducing tail swing, the PC228US-3 can work in areas where conventional profile excavators would pose a safety risk. 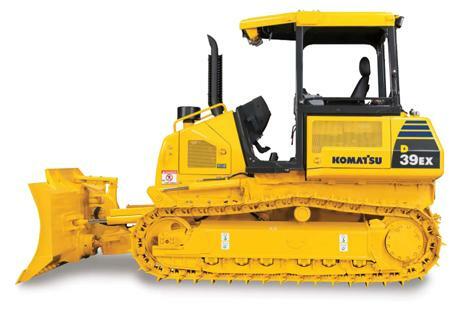 Perfect for work on roadways, bridge work, urban areas, or anywhere space is limited, the PC228US-3 provides you with performance and productivity you expect from Komatsu equipment. Precision, power, stability, you get it all in the PC290LC-10. With six working modes, Power Max, Tier 4 interim engine technology can save up to 10% on your fuel bill compared to the previous model and you have an excavator that will tackle any job you can throw at it.